Caption slip reads: "Photographer: Rustan. Date: 1953-12-08. Assignment: Rose Queen. 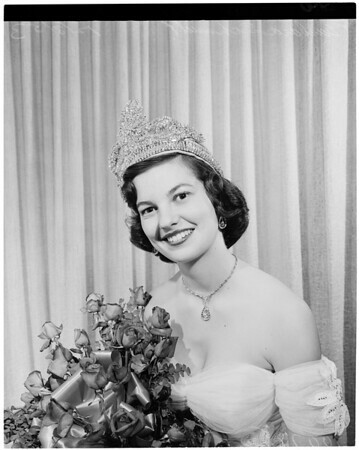 31-32-89-90-35-36-75-76: Barbara Schmidt, 1954 Rose Queen."